Looking for a special kind of marquee for wedding events? Have an unusual or large space that normal marquees just can’t quite fill? Need something bespoke? Then you’ve come to the right place. Here at Weatherill Brothers, we’ve been designing and building custom marquees for decades and have assembled a team of expert builders and craftsmen who know everything there is to know about these semi-permanent structures. We build everything according to bespoke plans, designing the size, shape, exterior, lining and features to your specifications. If you’re looking for a wooden dance floor then we can do it. Need some elegant doors and windows, lighting options or a bar? Then we can incorporate them into your design. 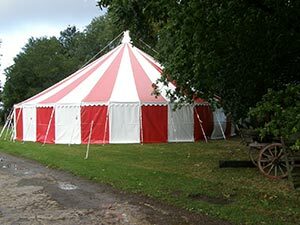 When you work with us you’re getting years of experience in every aspect of marquee design, from waterproofing to ventilation and heating. Whatever you need your marquee for – whether it’s weddings, events or simply as extra storage space – we can help you achieve it. With a Weatherill Brothers custom marquee you’re getting the best in the business. If you want to find out more about what we can do, give us a call on 01953 882 394 and tell us exactly what you’re looking for.